So we all know about the honourable work that a lot of celebrities did, entertaining our troops throughout the war with ENSA, the USO and in the movies. What about those stars that actually served in WW2? I’m bring you just 6 of the many who did! Winning 4 Golden Globes and BAFTA Awards, starring in blockbuster movies such as Jurassic Park and The Great Escape and directing classics such as Whistle Down the Wind, Oh! What a Lovely War, Gandhi and A Bridge Too Far…This is one man with a determined and energetic disposition! It is no wonder that he signed up for the Royal Air Force. He initially trained as a pilot and was then placed at the RAFFPU (Royal Air Force Film Production Unit) located at Pinewood Studios, under the command of Flight Lieutenant John Boulting. They produced propaganda films, showing bombed sites, RAF aircraft and aerial action. 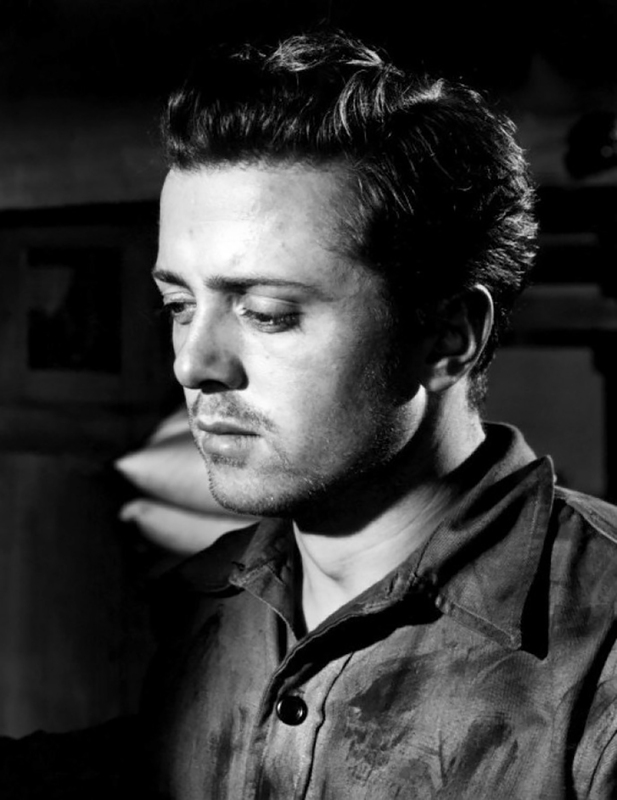 Attenborough volunteered to fly with the unit and qualified as a Sergeant after sustaining permanent ear damage during his further training. He flew several missions, recording from the rear gunner’s position. Although this is not technically classed as actually fighting in the war, can you imagine being up there, filming Bomber Command sorties and wondering when the next air raid would be??? 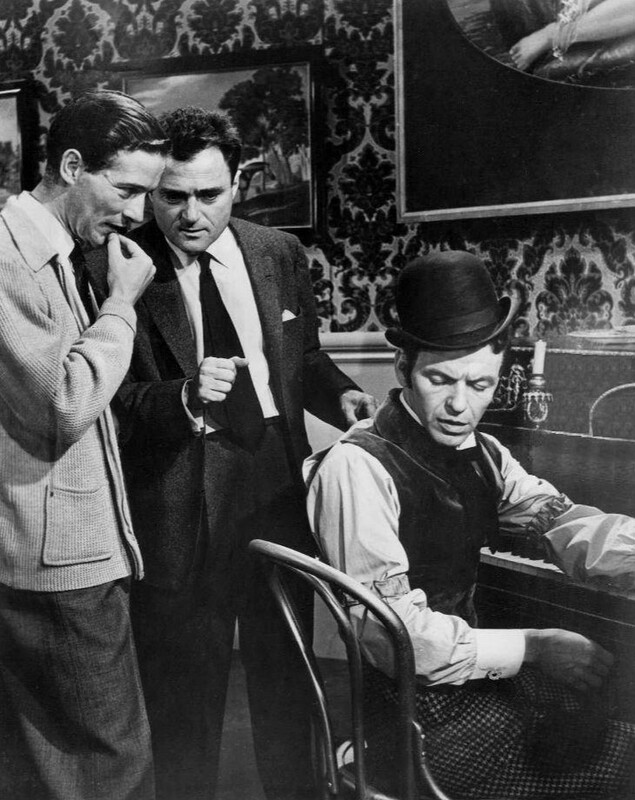 Michael Anderson (left), Mike Todd Frank Sinatra Around the World in 80 Days 1956. Licensed under Public Domain via Wikimedia Commons. Michael Anderson is best knows for directing Dam Busters, Around the World in 80 Days, Orwell’s 1984 and Logan’s Run! In WW2 he served from 1942 to 1946 in the Royal Signal Corps, 48th Infantry Division. There is hardly any information about his time in the British army! 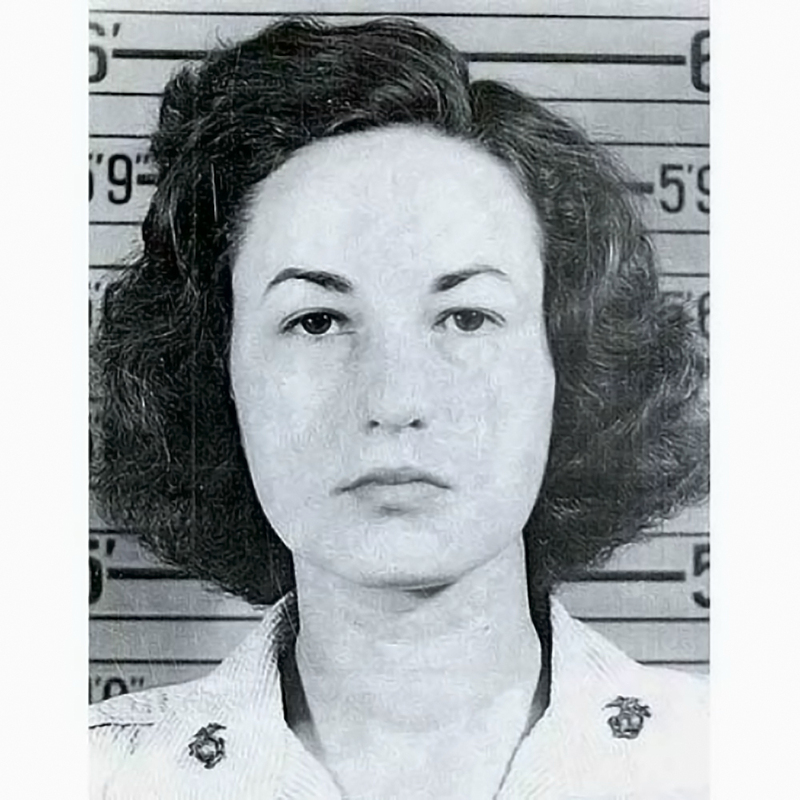 Bea Arthur (previously Frankel) is most famous for her ‘ tough chick’ character in The Golden Girls, but was also one of the first women to serve in the Marines in the war! After hearing that the Marines were enlisting in 1943 (at the age of 21), she hoped for a role in ground aviation, but became a truck driver and typist and made it to Staff Sergeant in her 30 month serve. In her Personality Appraisal interview sheets, she had been described as ‘Officious but probably a good worker – if she has her own way!” and her conversation as “Argumentative”. Arthur always denied serving in the war, but this may have been a cover up of her one count of misconduct…contracting a venereal disease in 1944! Known fondly as the ‘Singing Cowboy’, Gene Autry appeared on television, radio and films such as In Old Santa Fe, always playing the same singing cowboy character. He was the fist of his kind, but was superseded by Roy Rogers when Autry enlisted. 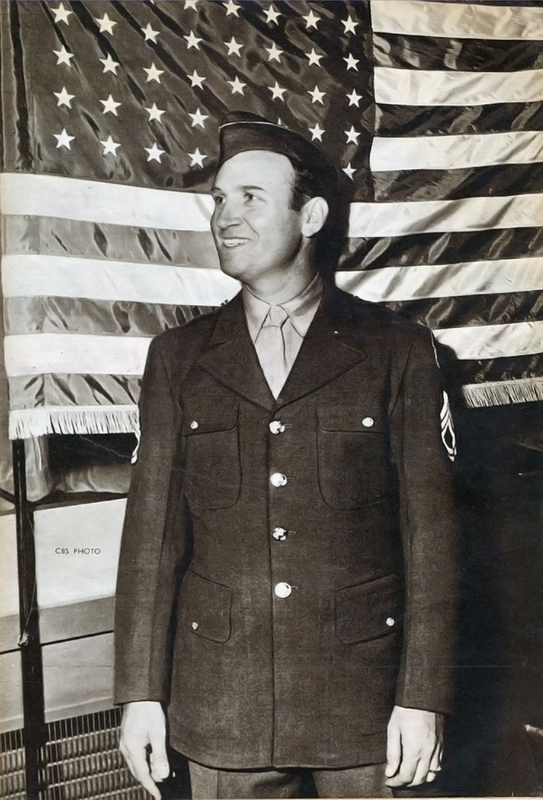 Joining the US Army 1942, he already had a private pilot’s license that proved useful. He became Tech Sergeant but was hell-bent on becoming an aviator. 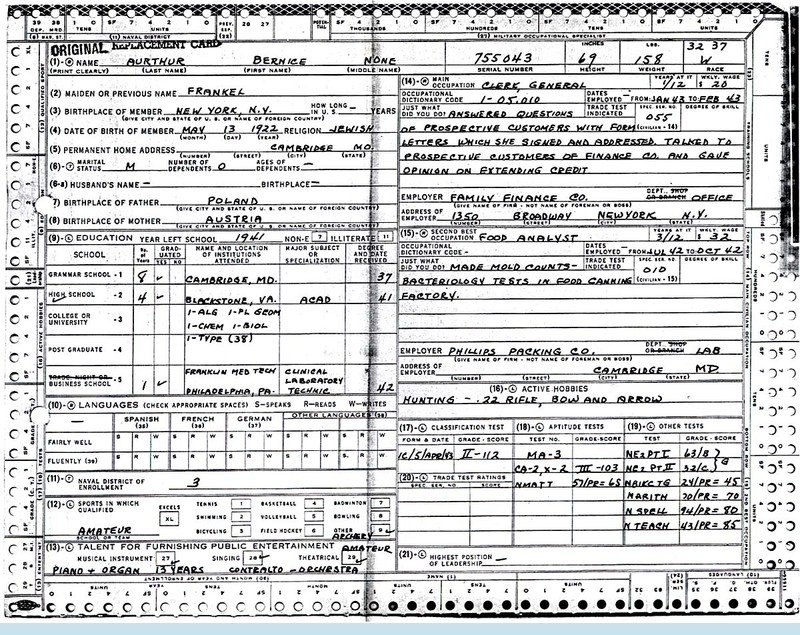 2 years later he earned his service pilot rating as a C-109 transport pilot as Flight Officer. Autry flew dangerous airlift operation as part of the 91st Ferrying Squadron of the 555th Army Air Base Unit, Air Transport Command. Their missions took them over the Himalayas, between China – India – Burma Theatre. He ferried ammunition, arms and fuel until the end of the war. Jackie Coogan was famously know for his role as Uncle Fester in the Addams Family in the 1960’s (bald head, made light bulbs glow by putting them in his mouth…you know the one), but did you also know that he was the little boy in Charlie Chaplin’s The Kid? In the First World War, Coogan worked with Near East Relief and toured across Europe and the USA in 1924 on a fundraising drive. In March 1941 he enlisted in the US Army as a medic after being angered by the Pearl Harbour attack. He later requested to become part of the 1st Air Commando Group thanks to already having a pilot’s license. Coogan was the first glider pilot to land allied troops behind the enemy lines of Burma! One of the gliders he was aboard unfortunately crashed. 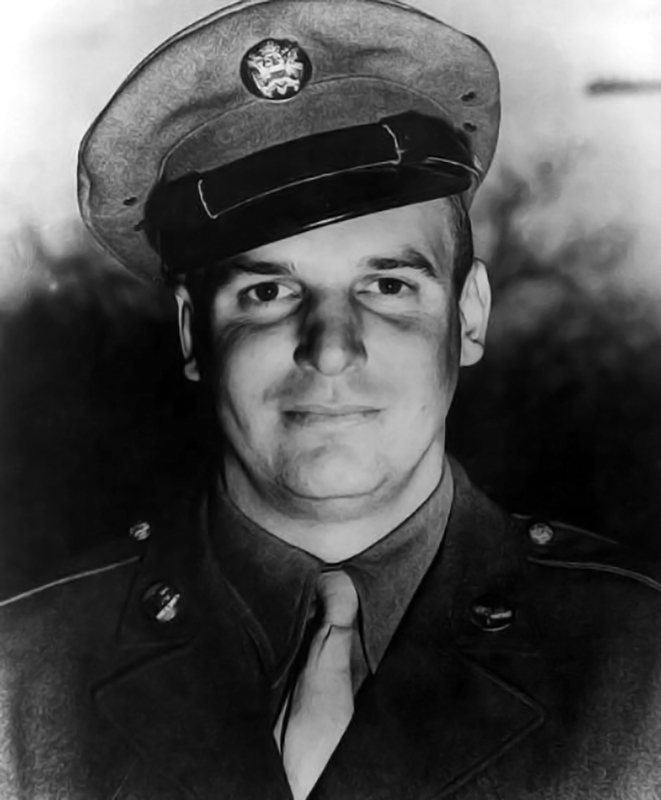 Coogan’s troop was attacked by the Japanese and he was the only one to survive, due to being at the bottom of the pile of bodies. He served for 5 years before being honourably discharged in 1944 and given the Air Medal and several other war citations for his service. Sir Alec Guinness, middle row, centre. He didn’t just help Skywalker defeat the dark side as Obi Wan in Star Wars! No! 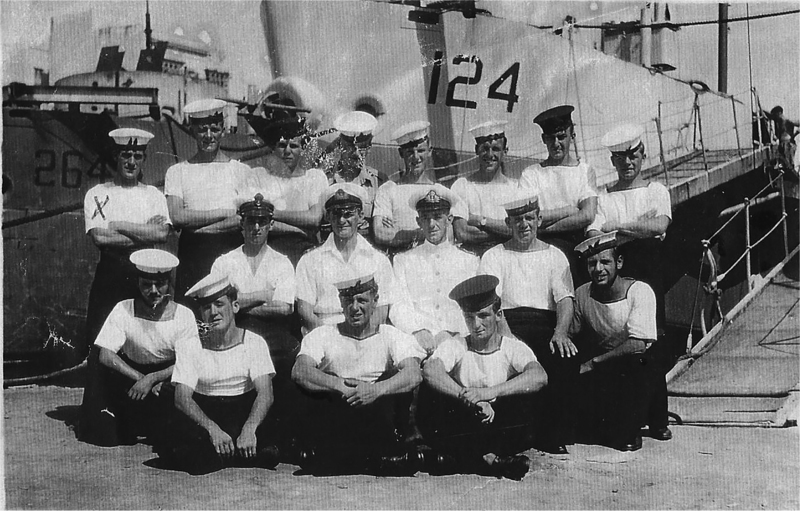 He also served in the Royal Navy Volunteer Reserve too! Also famous for such movies as Bridge Over the River Kwai, Kind Hearts and Coronets (one of my favourites!) and Hitler: The Last Ten Days of which he surprisingly considered his best film performance. Guinness commanded a landing craft in the invasion of Sicily and Elba, later ferrying agents and supplies to the National Liberation Army and Partisan Detachments of Yugoslavia. Posted in WW2 History and tagged alec guinness, bea arthur, celebrities in war, celebrities in ww2, gene autry, kitten von mew, mike anderson, military world magazine, Richard Attenborough, WW2, WWII. Bookmark the permalink.